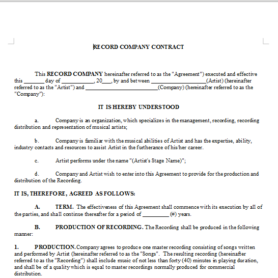 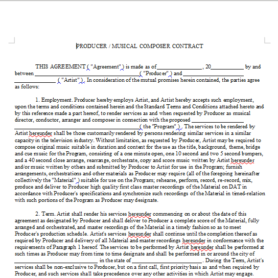 Description: This document sets forth the terms of an agreement between a recording artist and a music producer whereby the producer agrees to produce and record master recordings for the artist. 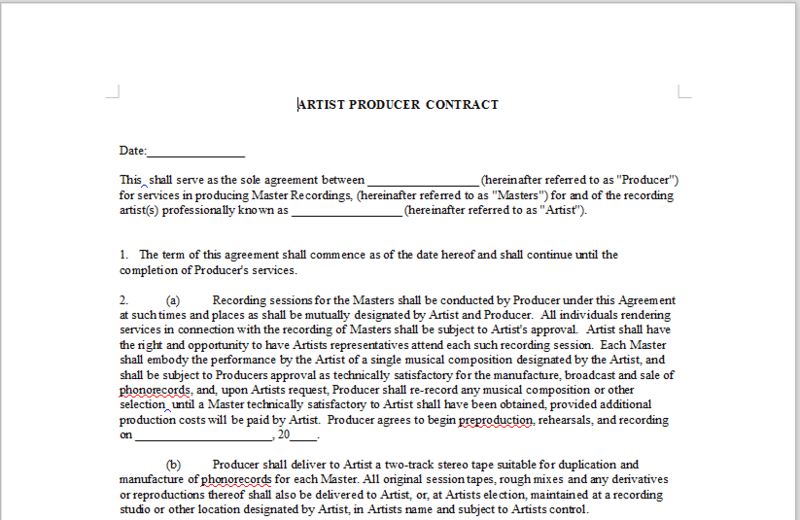 As drafted, this agreement sets forth terms for the artist to pay the producer an advance which is recoupable from the royalties payable to the producer. 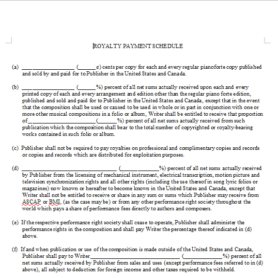 The document contains standard language found in similar agreements, such as indemnification for attorneys’ fees, but also provides opportunities for customization in order to fit the needs of the drafting parties.